Once described in a 1950 article as “The Town That Wants to Be Out of Date,” Old Sturbridge Village in Sturbridge, Massachusetts is a recreated village of early 19th century New England. But don’t let the word “recreated” deter you. Everything about the village is authentic. You’ll be whisked back to the dawn of modern commerce and experience what life was like in a typical New England Village of the 1830s. Old Sturbridge Village opened to the public in 1946 and received 5,000 visitors in its first year. And enjoy the thousands of artifacts on display. 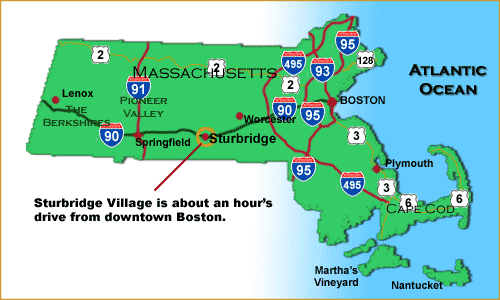 Old Sturbridge Village is only 50 miles west of Boston off the Mass Pike – Route 90 – in Central Massachusetts. And only a few minutes off exit 9. 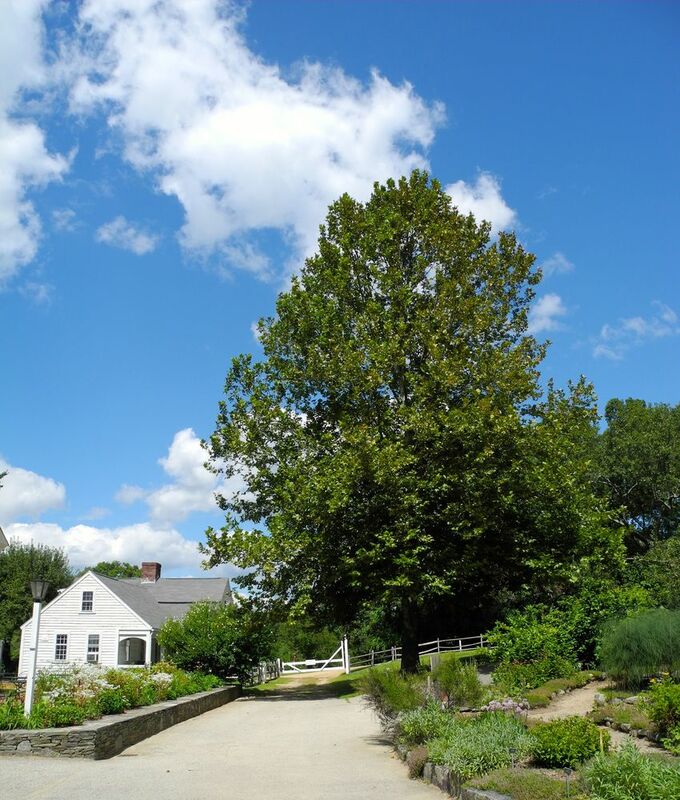 This educational village is set on more than 200 acres of rural New England landscape. Since opening nearly 60 years ago the village has survived a destructive hurricane, flooding, fire, and busloads of kids during every school season! Popular with young and adult alike, Old Sturbridge Village is a mecca for the history buff in all of us. Now here’s a secret to get the most out of your visit – be curious and ask loads of questions. The folks in Old Sturbridge Village are well versed in the politics and social customs of the 19th century, and love to discuss it with anybody that’ll listen. But remember these costumed and role-playing villagers will answer in character and views of the times, and you may be a little shocked at some of their answers. What we would deem today as narrow-minded views, and even a little offensive, where normal beliefs in early New England. Discover and probe to have the best fun. 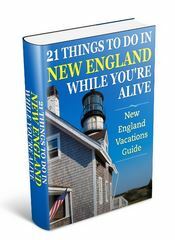 And explore every nook and cranny of each building in Old Sturbridge Village. You’ll find plenty of treasures and won’t be disappointed. Many of the structures are original and moved here from villages in Vermont, Connecticut, and Massachusetts. Reconstructed and restored with painstaking care they tingle your senses with their simple designs, and rustic charms. Unpaved country roads lead you around the common and to outlying areas of welcoming barns and establishments, such as the shoe and tin shops. Here you’ll see and talk to 19th century craftsmen. Marvel as they skillfully produce goods using only the tools and resources available in the 1830s. Old Sturbridge Village contains both residential homes, as well as a bank, printing office, and stores and shops. And you’ll learn why banks didn’t make personal loans, but… who did. And why the buildings called Meetinghouses, weren’t called churches – even though each Sunday most villagers spent four hours worshipping in them. Pay a call on the Salem household in their handsome Towne House, and then stop by and have tea at the Parsonage before visiting the Fenno and Fitch dwellings. All these residential homes on the common in Old Sturbridge Village are full of surprises and homely comforts. Ask the lady of the house how they kept the food from spoiling during the summer, and why apples were such an important crop for the villagers. Old Sturbridge Village has plenty of picnic areas if you’ve brought your own food. Or you can purchase hot and cold fare at Bullard Tavern, or treats at Little Cakes. Options to eat change with the seasons so be sure to check the guide the day you visit. The vision of the original founders of Old Sturbridge Village was for a place to learn by doing and direct experience – an active outdoors museum. I’ve always found Old Sturbridge Village a welcome change of pace and reminder that quality of life has nothing to do with fast cars or the latest electronic gadget. Plan to spend at least 3-4 hours at Old Sturbridge Village. 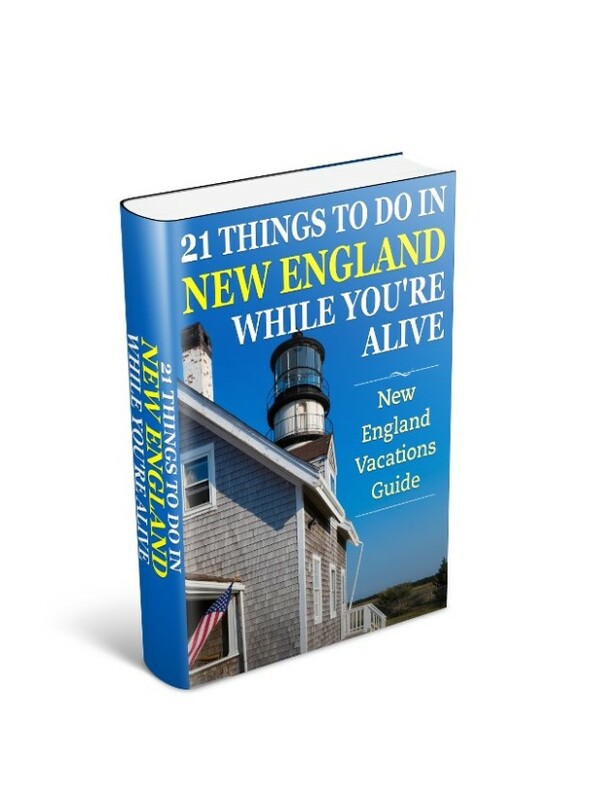 And remember… a ticket to Sturbridge Village is good for two days within a 10-day period. Sturbridge town is a popular destination in the Pioneer Valley region of Massachusetts. It is popular for shopping, unique museums and other attractions. It also has a variety of accommodation to suit all budget and tastes. To discover where to stay deals, and compare rates and amenities with a trusted and professional travel organization then check out Sturbridge lodging and accommodations.